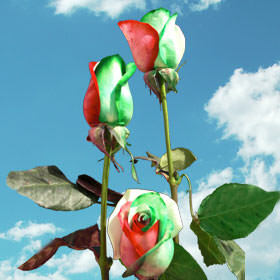 Globalrose.com has long been aware that there are multicolored roses that are on top of the beautiful eccentric gift list these days. OurRainbow Roses are lovely, colorful blossoms that have petals that are artificially colored giving them a unique appearance. 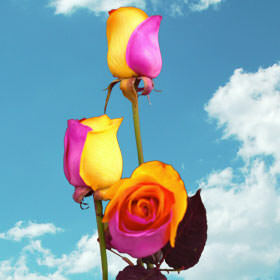 Rainbow Roses remain significantly unique because each petal of the same flower holds a variety of tones that may range from red, blue, yellow and purple. These days, only a handful of flower suppliers specialize in creating kaleidoscope-hued roses based on the color preference of their clients and Globalrose.com is proud to be among the best. You can never go wrong when it comes to choosing Rainbow Roses. These roses are an interesting break from conventional roses, and a welcome relief from cookie cutter, red roses. With these spectacularly multicolored roses, the person who receives them will definitely have a happy day. Are you looking for a quirky gift to give someone sepecial? Why not deliver a bursting bouquet of Rainbow Roses right to their doorstep? While a red rose delivery will never lost its appeal, Rainbow Roses are the most idyllic flowers because they are so unexpected. 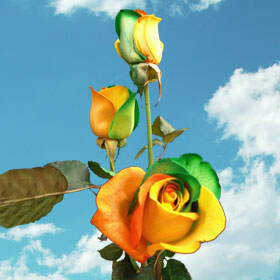 Rainbow Roses are spectacular to look when used as cake decorations or at the place setting of each party guest. 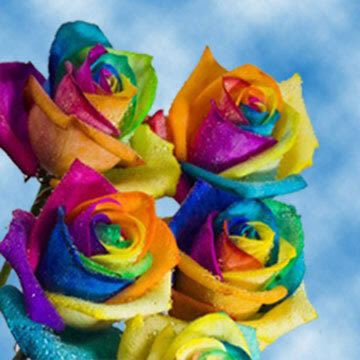 Rainbow Roses are also a very popular choice for school fundraisers. Students groups often make bulk purchases of our Rainbow Roses and sell them by the stem to classmates, school personnel and family members on Valentine's Day and at other school events. 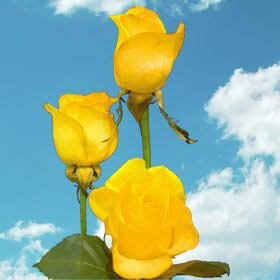 Globalroses.com guarantees freshness due to their strict quality control procedure. 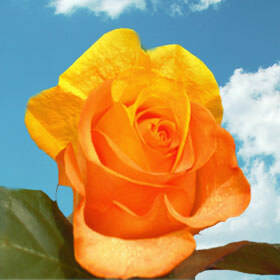 Every flower that is shipped from Globalrose.com is first carefully selected for perfection. If a flower falls below our standards, it is discarded. Four days prior to your delivery date, your flowers are harvested from our state of the art greenhouses, carefully packaged, then transported via FedEx and delivered to you. 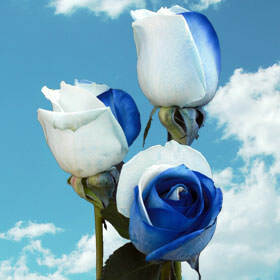 Because we supply our own flowers, Globalrose.com is your fastest way to receive fresh flowers.